TOP Network: Future Decentralized Open Communication Network - Before the advent of internet technology, we communicated with other people directly or by using short messages, telephones, telegrams, and walkie-talkies. Now we can communicate quickly and even send large data long distances quickly by utilizing internet technology. Moreover, the existence of cryptographic-based blockchain technology provides more tangible, fast, safe and decentralized benefits in response to various challenges from all sectors of life. Since its emergence, until now this technology has received the attention of many parties both private and government in various countries. Its defense system, which is proven to be impenetrable and provides speed and anonymity, gives the position of blockchain technology the best for now and continues to grow over time. The blockchain infrastructure Ethereum has clearly supported and proven web 3.0 technology. Now all sectors have prepared themselves to lead to revolution 4.0. Including this one company that I will introduce to you. They call themselves TOP Network. Like how and how they are, consider the following review. Before heading to the discussion you can see the video presentation and their introduction below. As mentioned above, we are enjoying an era in which IoT is implemented and some technologies that provide services to be able to see something far away from real (Virtual Reality and Augmented Reality) and so on with very high audio and video quality. This requires high server strength and capability. If service providers make their services centralized they will require high costs to be able to create a server that is ready to serve a wide range of billions of communication transactions in the form of text messages, videos, and encrypted files. It will be difficult if it is like that. This is one of the reasons the TOP Network team built their communication network. 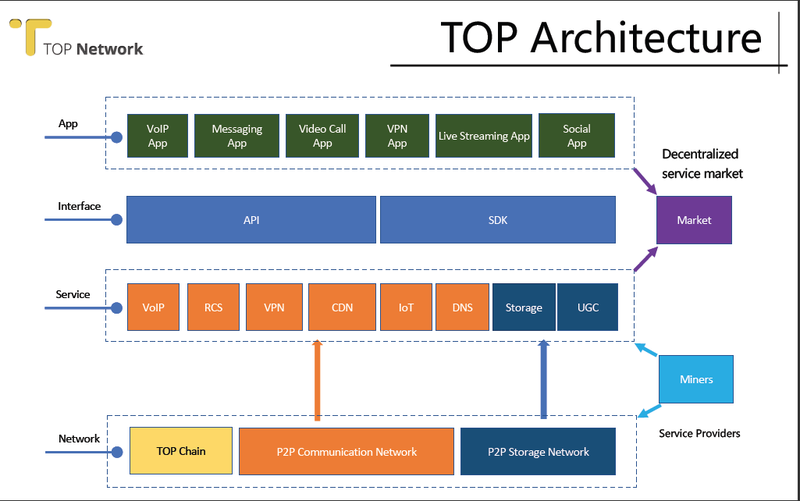 TOP Network is an open and decentralized communication network where their infrastructure provides cloud communication services and is managed and created by the community itself. Their infrastructure will be provided for public communication networks using any application. Their infrastructure is also supported by 4.0 blockchain technology. By utilizing their infrastructure this will save costs up to 60% for developers, both development costs to network costs and so forth. Their infrastructure is open to anyone and this is an excellent solution for the future of the mass communication sector in the world. You can see some of the services and architectural forms of their infrastructure in the picture below. Maybe at first glance their products are simple, but actually very extraordinary compared to our current conditions which are still very limited for large data communications and some platforms or communication applications have not been able to provide maximum service for large data communications. Their solution is really very smart and this is the first time I've found it. Naturally their ideas get a very good response from institutional or company investors. 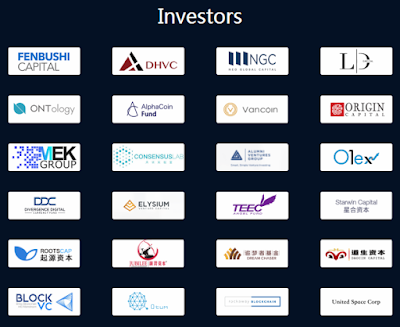 Here below are some institutional investors and companies that invest their funds in this one project. Of course what I explained and I introduced is not yet complete and cannot be used as the main reference to find out the TOP Network project. You should find out more information by visiting the links below if you are interested in investing in the TOP Network project. May be useful.